Good morning and thank you so much for your visit to English Plus blog! 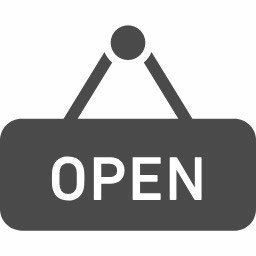 Today, I'd like to write about English Plus' last week's activity. 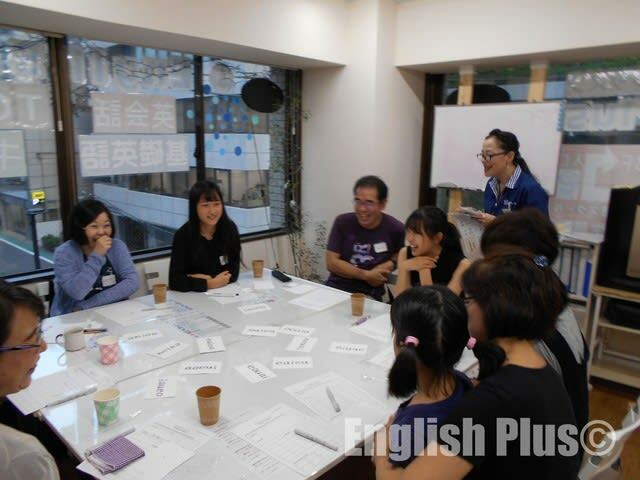 Last Saturday, August 4th, we held "Pronunciation Clinic" and "English Game Night." It was our first time to try two activities on the same day, and it was our first time to hold both activities at English Plus. Even though it was our first challenge, thanks to all the participants help, both activities went smoothly and became quite successful. In the "Pronunciation Clinic", our instructor Haruka gave a lecture about Phonics, and all the attendees practiced pronunciation. This time, the main focus was "Vowel sound (a,e,i,o,u)" and all of their voice became gradually louder as the lecture went on. Everyone seemed to enjoy the practicing pronunciation! After the pronunciation clinic activity, there was another one called "English Game Night." We played an English game called "Apple to Apple" while eating and drinking. Everybody said the game was fun and wanted to play more. Again, thanks to all the attendees, this activity became another English Plus' successful activity! After this summer vacation, we're thinking about holding some other activities this year too. Once we've decided an activity, we'll let you know on this blog, English Plus' website, and Facebook. If you have time, please join us! 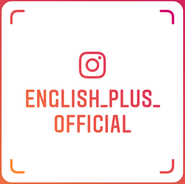 About English Plus, please check out English Plus Official Website. 今日の英語でのひとこと："Let's have more fun with English!"